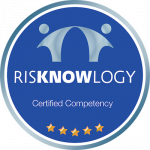 Risknowlogy offers the accredited Functional Safety and SIL for Technicians training course for operators that work with safety instrumented systems. These technicians are involved in the maintenance, proof testing or repairing of SIL related safety equipment. This course trains technicians according to the requirements of IEC 61511. The main objective of this course is to give operators the knowledge and competency required to maintain, proof test and repair safety instrumented systems according to the functional safety and SIL requirements of the standard IEC 61511. The second objective is to give the operators attending the course the opportunity to certify their knowledge through an exam. This course comes with an exam and personal knowledge certification. Any operator involved in the operation and/or proof testing of SIL rated equipment installed in Safety Instrumented Systems. Share this course with your colleagues. My safety skill were developed in this course, it is a very good course. Very useful and informative course. It clearly explains the daily activities and the skills of OMR professionals in relation to SIL and functional safety. This course is useful for understanding daily task. We should receive this course every 3 or 4 years. Gained good knowledge on SIL and functional safety for may daily job. The course was well organised and gave me good knowledge. Every technician should follow this course to learn about the important aspects of safety functions. Have 3 years of experience in the process industry. The Safety Passport is free of charge for Risknowlogy clients. Our personal development training and certification program is compliant with ISO 17024, the standard for people certification. We strive to offer you the best personal training, development and certification program in the world. Where applicable we cooperate with industry organisations like TUV, ISA, IEEE, DIN, to have our courses approved. Can I take the exam without following the course? It is not allowed by the accreditation we have. You have to take the course at least one time. The certificate is valid for life. In practice that means as long as there is no new version of the standards.